Richard Ohmann is the Benjamin Waite Professor of English, emeritus, at Wesleyan University. He is a co-author (with Noam Chomsky, Ira Katznelson, R.C. 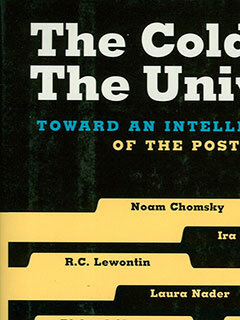 Lewontin, David Montgomery, Laura Nader, Ray Siever, Immanuel Wallerstein, and Howard Zinn) of The Cold War and the University: Toward an Intellectual History of the Postwar Years (The New Press).